CALGARY, May 3, 2018 — Province of Alberta grants $720,000 to ALUS Canada for critical flood-prevention work. ALUS Canada is delighted to announce it has received $720,000 as a new grant from Alberta Environment and Parks’ Watershed Resiliency and Restoration Program (WRRP). 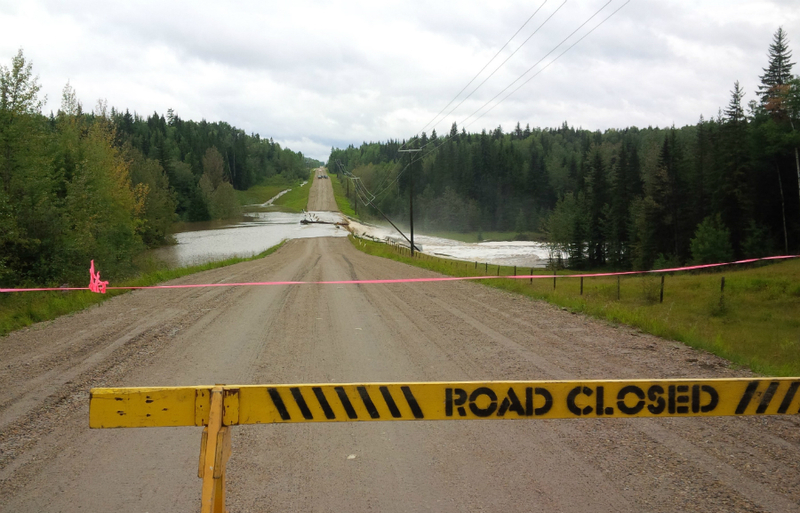 As Minister Shannon Phillips stated in her May 1 announcement, the funding is part of Alberta’s strategy for reducing the risk of flooding by making significant investments upstream of communities to increase floodwater storage capacity. ALUS projects do just this, and produce many other ecosystem services of value to the community. This new funding will allow participating ALUS farmers and ranchers to establish and maintain 650 acres of ALUS projects on their land for wetland restoration and riparian enhancement. These conservation efforts will be concentrated in the Modeste subwatershed of the North Saskatchewan River, which the Government of Alberta has identified as being a high priority for flood mitigation and water quality, and a moderate-high priority for drought. There are three ALUS communities in this region—ALUS Parkland, ALUS Brazeau, and ALUS Wetaskiwin-Leduc—whose ALUS Partnership Advisory Committees will be instrumental in identifying the best sites to develop ALUS projects for the highest environmental impacts. The WRRP grant also supports a cost-benefit analysis for the project of using nature to deliver infrastructure-related services. Dr. Wanhong Yang of the University of Guelph will lead the watershed modeling exercise, while Dr. Marian Weber of Innotech Alberta will undertake the economic analysis. This work builds on important research undertaken by the North Saskatchewan Watershed Alliance, which identified the impacted riparian areas and is working with municipal partners to set riparian health objectives. ALUS Canada and its partners in this Modeste natural infrastructure project—the University of Guelph, Innotech Alberta, the North Saskatchewan Watershed Alliance and our upstream municipal partners—are grateful for additional funding support from EPCOR, the City of Edmonton, Natural Resources Canada and the McConnell Foundation. ALUS Canada, A Weston Family Initiative, is a national program helping farmers and ranchers to produce cleaner air, cleaner water, more biodiversity and other ecosystem services in their communities. As a recent Alberta Emerald Award-winner—and guided by a Clean50/Clean 16 award-winning team—ALUS Canada is a recognized leader in sustainability that is revolutionizing the way Canadians support the environment. With funding from many sources, including our primary philanthropic partners The W. Garfield Weston Foundation, ALUS Canada has so far disbursed nearly $6.5 M in funding to ALUS communities across Canada; this investment is multiplied by farmers, ranchers and communities on the ground. As a result, there are currently more than 18,500 acres enrolled in the ALUS program, thanks to 575 participants from 21 communities in five provinces, and the program is rapidly expanding.